I am really starting to get excited about the idea that we might actually, finally, get competition back in the ISP market. I did not want to say broadband, since there was only a short time that there was competition in broadband. You have to go back 20 years to when modems were starting to be replaced by broadband modems. Why I can still recall the connection speed based on the tones from those old-style telephone modems. I actually miss it, but then my father spent most of his working years at AT&T, and telephony has been a part of my life for all of my life in a deeper way than for most. I used to help dad on installations now and again when we would fix the telephone issues for friends and family. Granted we are just talking about fixing the odd box here or there, or stringing new wires into rooms that previously had no phones. Simple stuff, but interesting to me then. Way back in the beginning of the internet, as I suspect everyone reading this remembers well, there was DSL which was able to compete with cable modems. In some areas that competition lasted a few years, but in most parts of the US, it did not. Cable modems, true broadband, just blew past DSL very quickly. I had DSL, and yes, I know technically it was called ADSL, for 2 years from 1998 to 2000. Around then, the apartment I was living in was finally able to get cable internet service. In those years, perhaps a bit earlier for some places, and a bit later for others, is when competition died. 5G internet service is likely to finally bring us back. Now before I get too excited, I wanted to write something up to address the concerns some folks have about DNA damage from it. I have a degree in electrical engineering with a focus on lasers and electromagnetic waves. In my time in the USAF, I worked with Radar, and took follow on classes on that subject. I was looking to build a whole long paper, but then I found this link. This poster wrote information that I was able to verify, or already know. The equations I still remember along with the constants. The conclusion is that UV light or higher frequency is what can damage DNA, less than that, and it just warms your skin. UV and skin cancer is well known, and I could not find any study linking lower frequency light to cancer. The physics doesn’t appear to allow it as that person showed. 5G uses 600MHz to 6GHz, which is the existing 4G network along with 24GHz to 86GHz which is the middle of the microwave band (RADAR). Still, this is BELOW the energy of infrared let alone visible light, which is higher frequency than infrared. I also offer the experience of the man who invented the microwave oven, Percy Spencer. He had a chocolate bar in his pocket while standing in front of an active radar. The chocolate bar melted and his skin got warm. He did not get cancer. He did get a patent, and his company made a ton of money. Back to the fun, so with the rise of 5G, it will make competition a reality. The current Verizon deployment is VERY small. They only have a small area in a few cities. Why you may ask, well these higher frequency waves can get reflected by almost anything. The 5G standard equipment will only be able to transmit 3,000 feet and maintain high 1GB/s data rates. 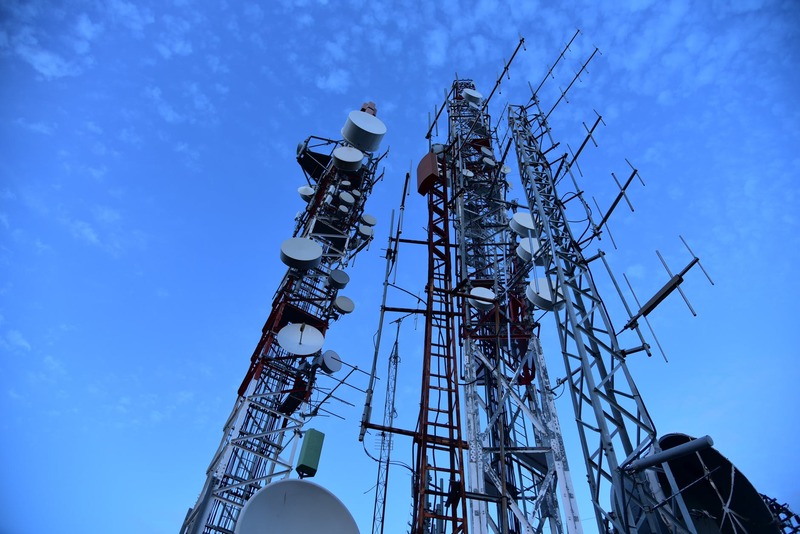 When the new 5G standard equipment is available, they will build out their network in earnest. That is the limitation of what Verizon is dealing with now. The range limitation is why the cell phone companies are looking to put towers up everywhere. Older generations, 3G and 4G could meet their much lower data rates at much greater distances. The new technology in 5G can do things like beam forming and other tricks that attack radars do, and for me it’s quite interesting to see those military grade technologies being put to commercial use. Cost will be a concern when you consider all those towers to build and maintain, but Verizon is currently selling it for $50 to $70 per home. This is competitive with cable rates, and will likely trigger the competition. T-Mobile’s CEO is excited talking about it being available on their network at affordable rates hopefully in 2020, so my hopes continue. My concerns remain about the cost factor, and if they can really compete with broadband. Still, they know their business, so they must think so. Of course cable companies are not sitting idle. Several are offering things like Fiber to the Home which offer 1Gb/s speeds for $75 a month. They are also working on the even faster DOCSIS 4.0, which could hit speeds of 30Gb/s . This is an upgrade to what you have at home. DOCSIS 3.1 is being rolled out by most cable companies in the US, and that will enable them to offer speeds up to 10Gb/s. These numbers are well above what 5G can do, but even 1Gb/s is 5 to 10 times faster than the standard speed offered by most cable companies today for $50 – $75. All things considered, I think we are headed for better days. Previous Are High Efficiency Appliances worth it?